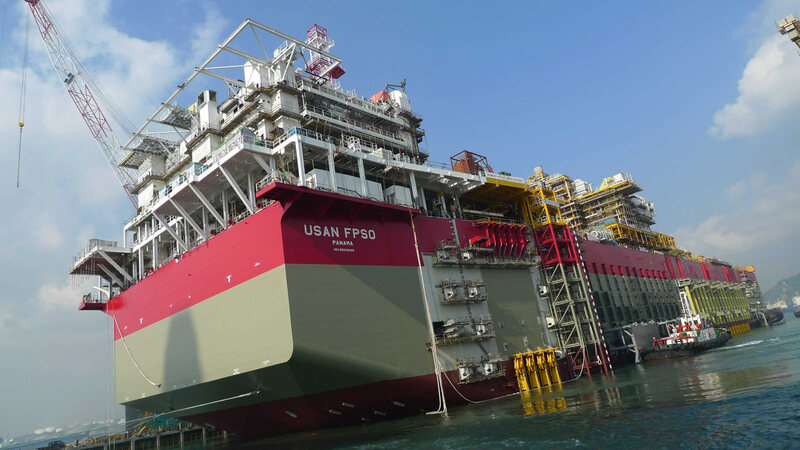 Fishing, Leisure, Commercial, Oil & Gas and Defence Industries. Supply, installation and servicing of marine electronic equipment for the fishing, leisure, commercial, oil & gas and defence industries. We are the national distributors for the industry’s leading marine electronic equipment manufacturers. From our suppliers we distribute and install the most cutting-edge hydro-acoustic, navigation, radio communication, safety equipment and VSAT technology for your boat or ship. National distributers for Furuno, Simrad and Marport products. We can supply a full range of echosounders, sonar and net monitoring equipment for your boat. Covering all your needs, whether you are angling, ground mapping, surveying or trawling. We have your equipment. Ireland’s leading suppliers of marine navigation equipment. 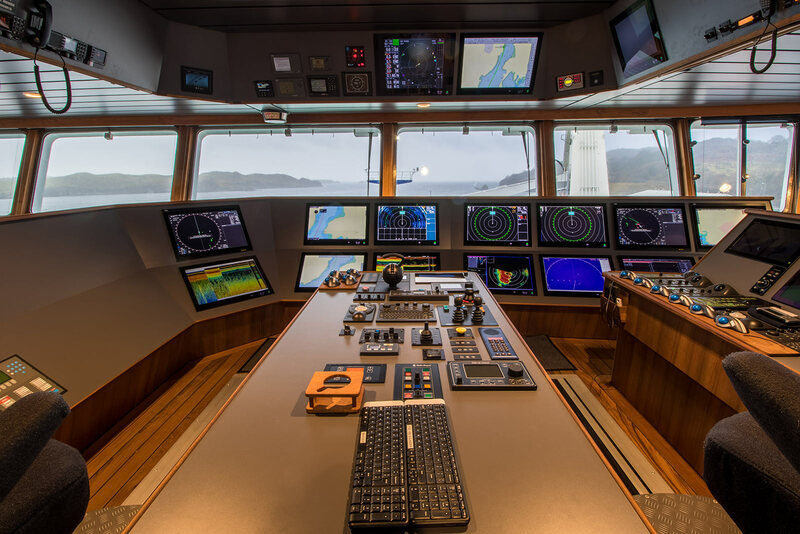 We supply Furuno ECDIS, GPS and RADAR and Simrad-Navico Gyro and autopilot equipment. Our company are also national distributers of MaxSea, Olex and Sodena navigation plotters. Large or small, we have your equipment. From leading brands; Sailor, Furuno and Icom, we can cater for all your communication requirements. We stock INMARSAT and Iridium Satphones, MF/HF equipment and a wide range of VHF radios. We will keep you in touch. We take safety equipment very seriously. We can provide your boat with all required safety electronics from Furuno, Icom, Sailor and Jotron. Our Engineers will service your existing equipment with manufacturer-approved test equipment. Making your trip a safe one. 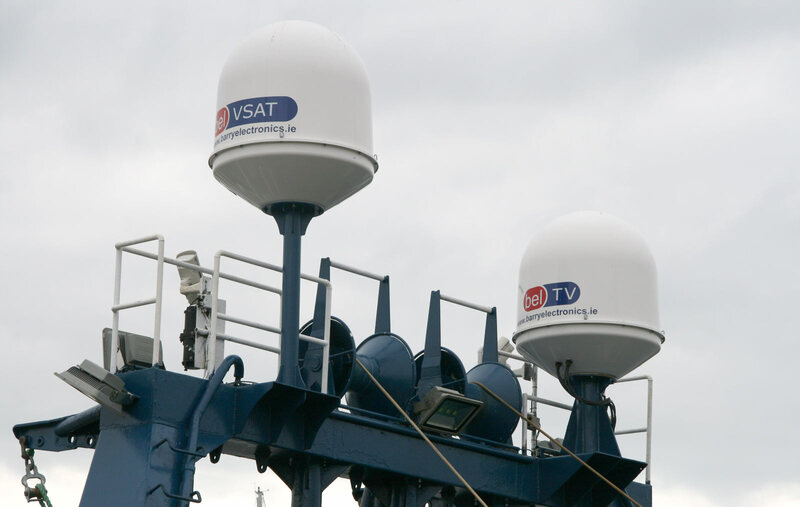 We are, by far, Ireland’s largest and most experienced supplier of VSAT equipment. Using Sailor antenna technology, we custom-design each VSAT installation to suit your boat. We monitor each installation with in-house designed software from our base in Killybegs. We will keep you online. 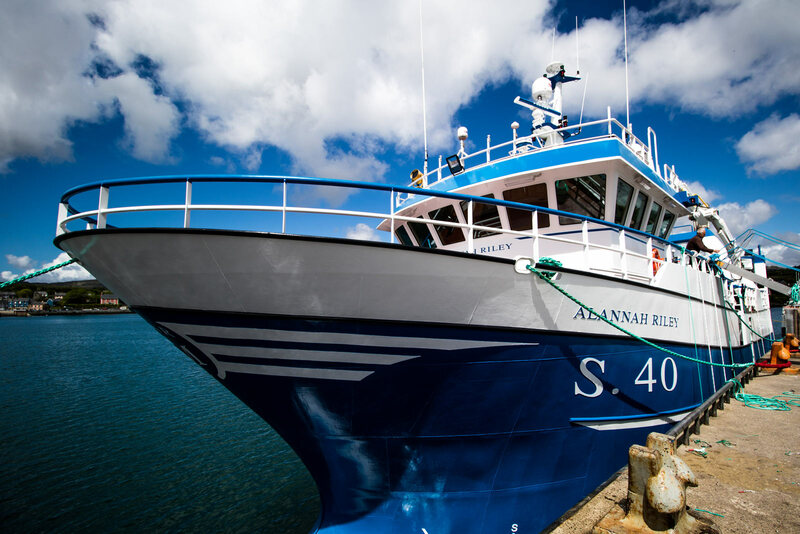 We supply, install and service equipment to all types of fishing boats, from 5 metres to 144 metres. Whether your requirements are retro-fitting or a complete turnkey, new building project, we have the range of equipment, expertise and engineering staff to get your job done, anywhere in Ireland or Europe. We have a wide range of leisure marine electronics in stock, from all the leading brands. We provide next-day delivery anywhere in Ireland, to get you on the water the day that the sun does shine. Working predominantly with market-leading brands Furuno, Sailor, Simrad and Skipper equipment, we provide onsite service anywhere on the island of Ireland. Our factory-trained engineers can survey, service or renew the marine electronic equipment on your commercial vessel. 24/7. We work with all commercial and Government survey organisations on the island of Ireland. We provide expertise and equipment to these organisations and facilitate survey mobilisation on non -survey boats as required by National scientists. We cater for all the required commercial-grade electronic equipment for the Irish Navy, Irish customs and An Garda Siochana. We provide communication, survey and navigation equipment for all government bodies involved in law enforcement and defence. Important notice regarding Furuno GPS products.